Twitter and Snapchat are tanking too. Facebook and the shady data marketing firm Cambridge Analytica are dealing with the blowback of a recent scandal. And all of social media is feeling the heat. As the story broke, millions of Americans realized that by taking a simple quiz on Facebook, they had given up their personal data to feed an algorithm that was then used for political propaganda. While the scandal is definitely the biggest blow to Facebook’s reputation to date, it’s certainly not the first. In the past, the company had been involved in controversies over the spread of fake news, the dissemination of racist content, and the live streaming of homicides. But this time, the PR crisis had a tangible cost — $60 billion, or 11.4 percent of the company’s shares, went up in smoke in two days after the story broke. This massive financial loss isn’t just the consequence of scandal, it’s a symptom of a deeper crisis: investors know that the trust with which users once regarded Facebook and other social platforms cannot be restored. Mark Zuckerberg’s mealymouthed attempt at damage control — taking responsibility for the mishandling of user data, charting a path forward — is unlikely to regain the confidence of users, or of investors. The U.S. Federal Trade Commission, which makes sure companies don’t violate their privacy policies, could slap Facebook with a multi-million-dollar fine if it finds it breached the protocol, Bloomberg reports. This could happen to other companies with lax privacy policies. Investors were shaking in their boots. As a result, Twitter shares tanked along with Facebook’s, dropping as much as 11 percent on Tuesday, the most since July 2017, according to Bloomberg. 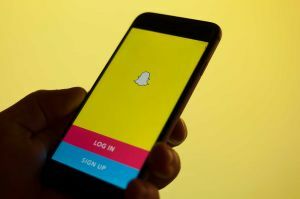 Snapchat’s shares also fell nearly 3.7 percent over the past five days, after a big plunge on Tuesday. It’s unlikely that users will drop Facebook altogether, as WhatsApp founder Brian Acton urged. Facebook is too embedded in the daily lives of billions of people. For some, going on the internet is synonymous with logging onto Facebook. But now people’s attitude towards social media will be different. Most users already knew a bit about the lack of privacy on social media, but up until now cybersecurity was mostly theoretical, abstract. Now that people know that their page likes, quiz answers, and other frivolities may have played a part in electing the president, they will take all of that more seriously. And all social media platforms, with no exception, will have to reckon with that.